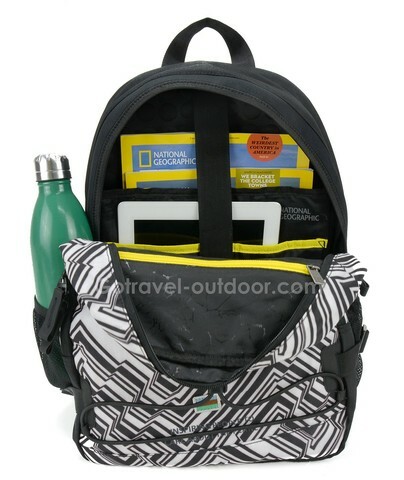 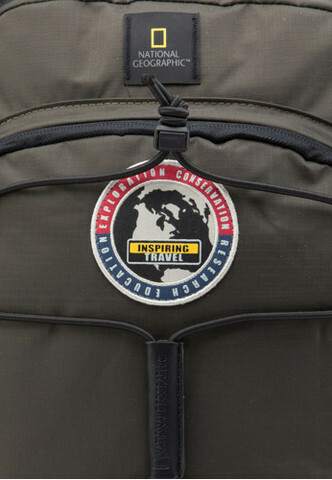 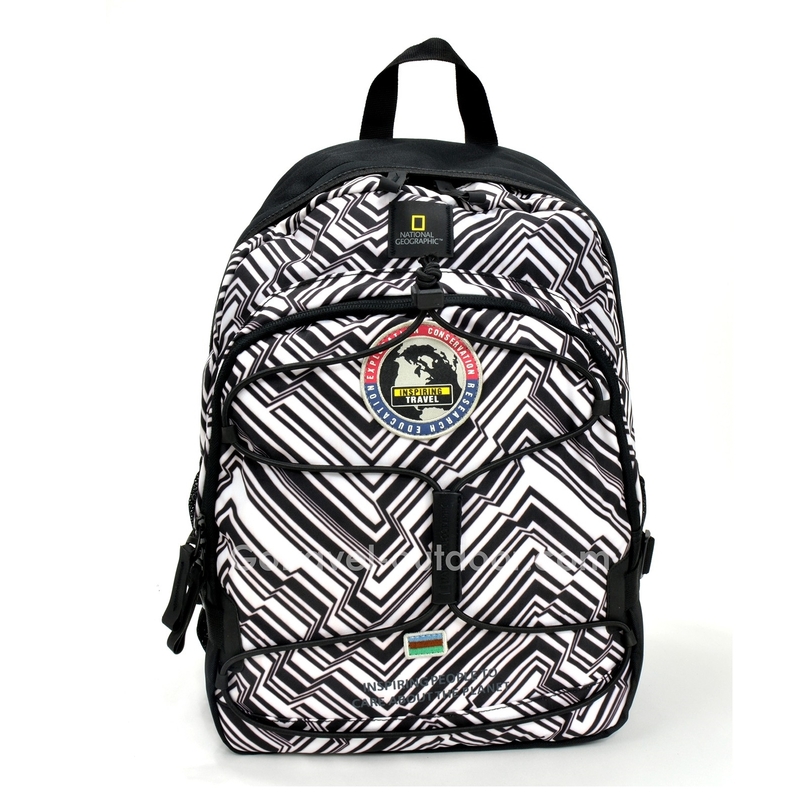 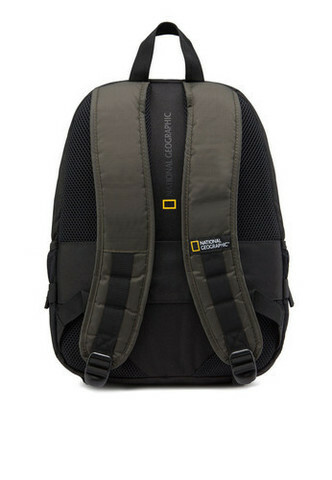 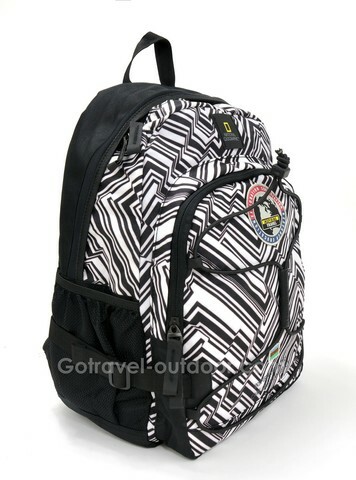 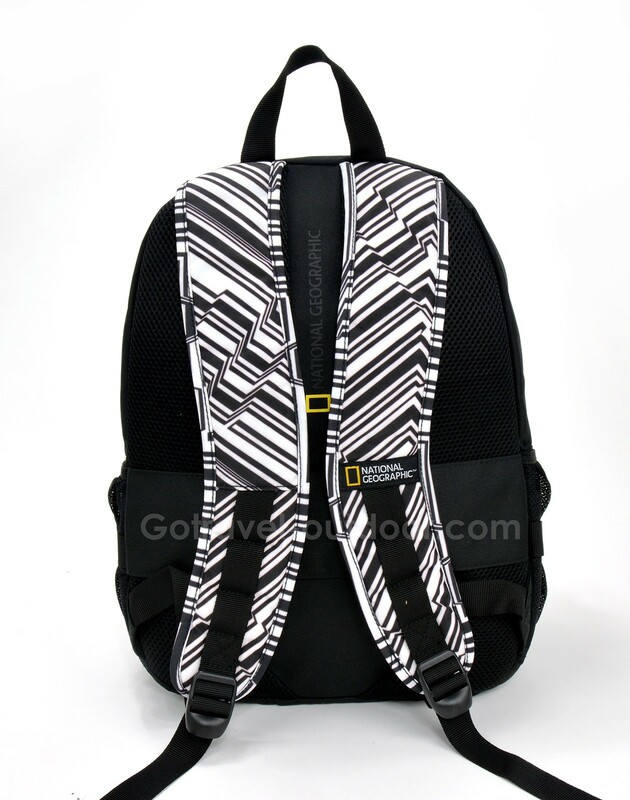 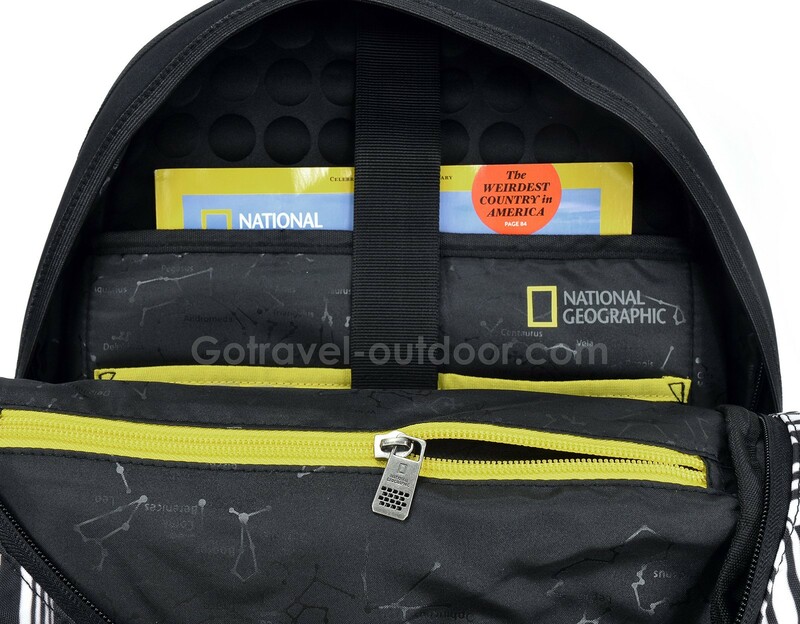 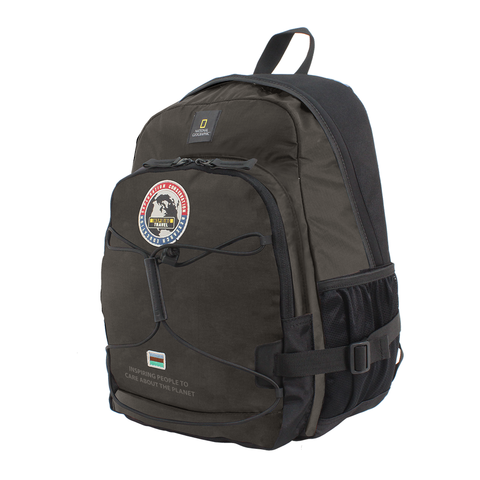 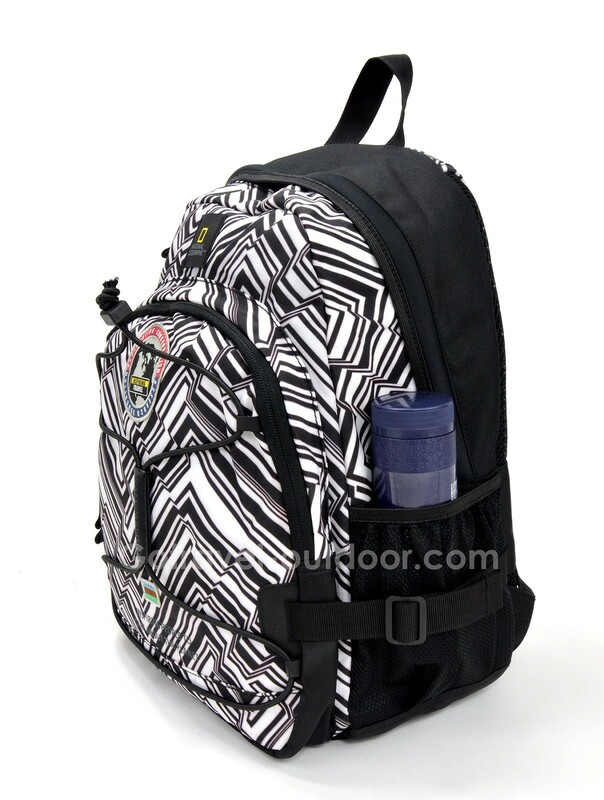 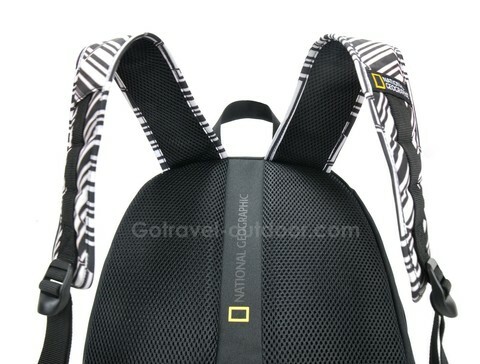 National Geographic Explorer Backpack is a classic National Geographic laptop backpack with embroidered travel symbol patch and National Geographic Hypalon logo patch in front. 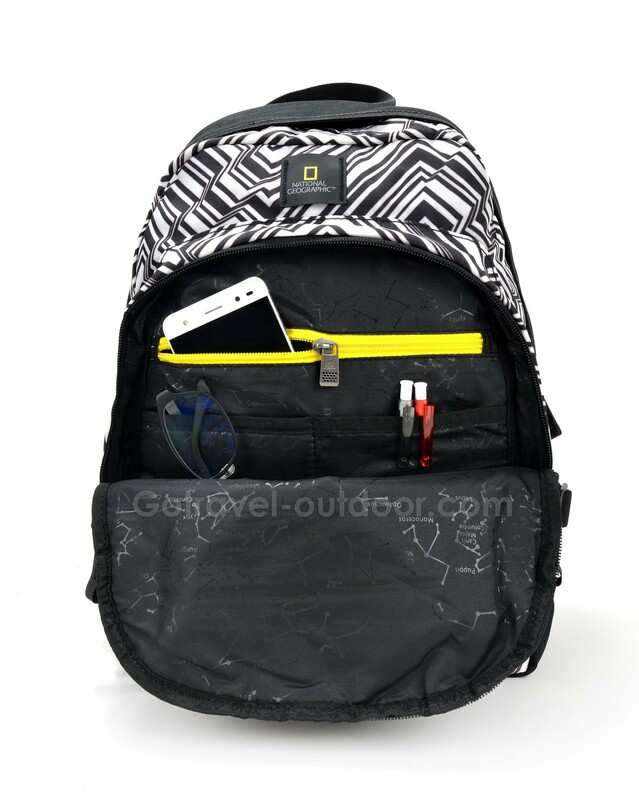 It is a perfectly functional and spacious day pack that comes with 2 zip compartments, mobile pocket, multi-use open & zip pockets, and both a 15 inches laptop and a tablet compartment. 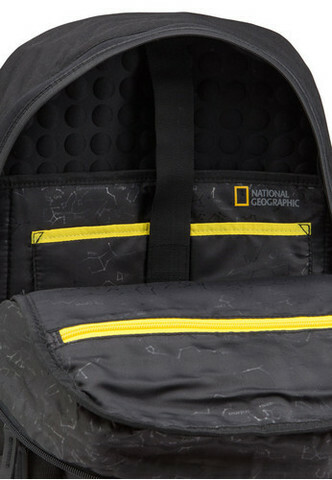 Its also has polyster lining with star chart pattern. 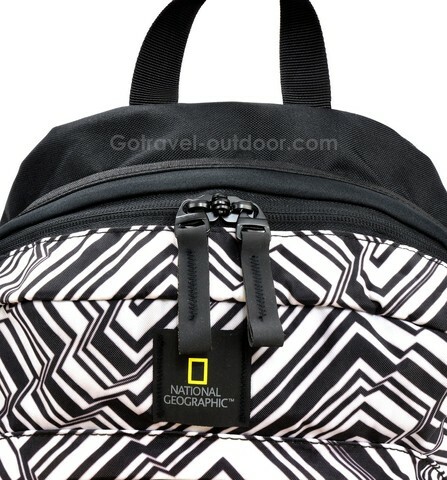 You can also connect the backpack to your luggage with the trolley access.